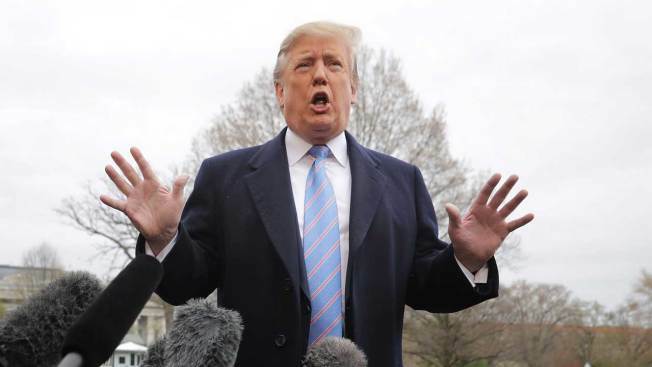 President Donald Trump let the media know on Friday that he'll be skipping this year's White House Correspondents' Association dinner. No, thanks. 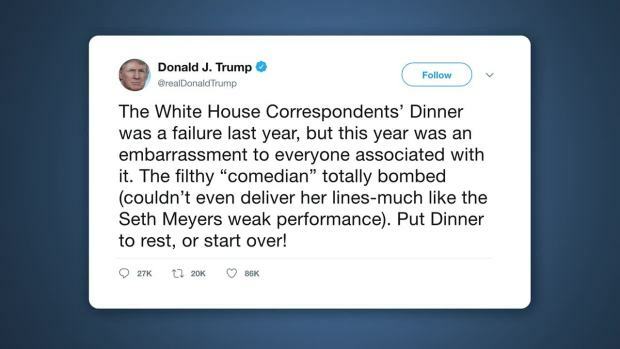 President Donald Trump says he's got better things to do than attend the "boring" and "negative" White House Correspondents' Association dinner. Seth Meyers responds to criticism of Michelle Wolf's performance at the White House Correspondents' Dinner. Comedian Michelle Wolf served as the entertainer for the annual White House Correspondents’ Dinner Saturday night. White House Press Secretary Sarah Huckabee Sanders was among those roasted by Wolf, and some have taken issue with her jokes. While Huckabee Sanders was among those from the Trump administration in attendance, President Donald Trump opted to skip the dinner for the second year in a row and instead held a rally in Michigan.